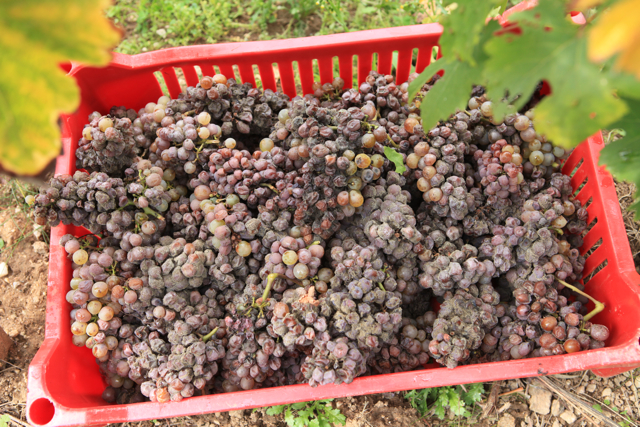 Jim's Loire: #2015 Loire: Domaine des Baumard – 2015 Cryoextra? #2015 Loire: Domaine des Baumard – 2015 Cryoextra? Has Florent Baumard (Domaine des Baumard) once again flouted* the current rules for Quarts de Chaume and instead followed his own? 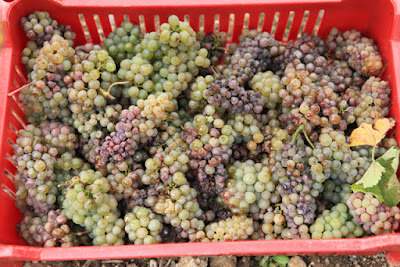 The 2011 Quarts de Chaume décret created the Loire's first Grand Cru, required a minimum potential alcohol of 18% at the time of picking, and banned the use of cryoextraction, from the 2020 harvest onwards. The Baumards appealed to the Conseil d'Etat to annul this decret. The appeal was comprehensively rejected in February 2014. The Baumards lost on all counts. Background to the decision of the Conseil d'Etat in respect to the Baumards' challenge can be found below. 'Along with Grand Cru status would come new rules and new legislation, and this was not unanimously welcomed by Quarts de Chaume's growers, especially by Domaines des Baumard. 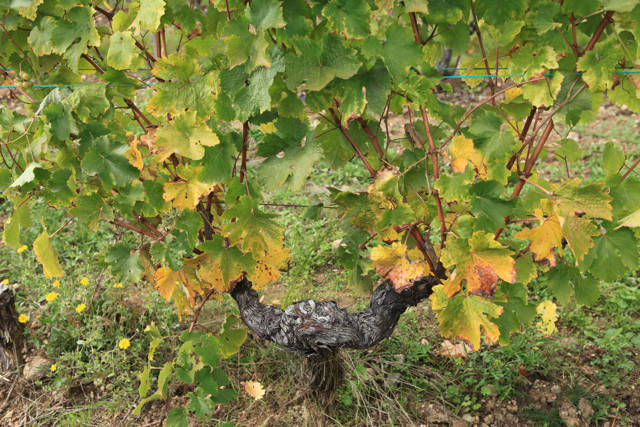 Baumard objected to the way the legislation had been drafted, but one rule change in particular was fundamentally unacceptable: it would ban the Domaine's use of a technology that Florent Baumard refers to as 'cold pressurage'. To make his Quarts de Chaume wines Baumard freezes the harvested berries. Though legal, the process is controversial*. 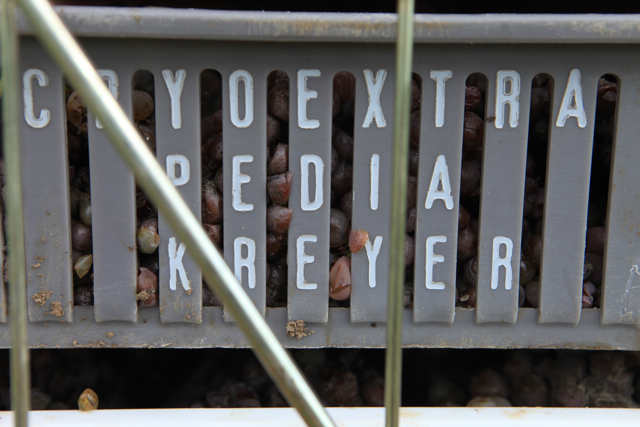 Some claim it allows a winemaker to 'concentrate' the sugars and apparent sweetness of a wine artificially, whilst Baumard insists the freezing process simply allows him to eliminate less ripe grapes, leaving only the naturally sweetest juice to go into his must. It is, he says, nothing more than a means of sorting the harvest. On Wednesday 7th October 2015 I visited the Quarts de Chaume to have a look at how the grapes were coming along. I contacted no producers before coming to Anjou – the only person who knew we coming was the person, who is not a producer, with whom we stayed in Angers. 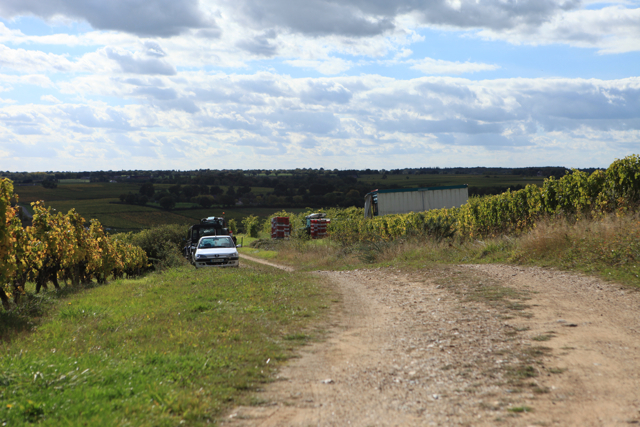 The 7th and 8th were the first convenient times for me to visit Anjou as previously I had been busy visiting other Loire regions where the 2015 vintage was likely to be further advanced. This was my first day in Anjou. 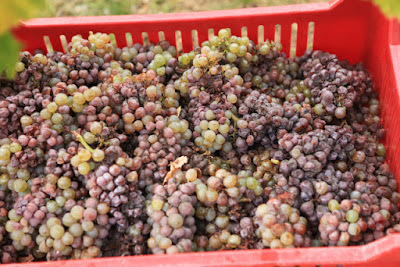 I had already dropped in to Domaine de la Bergerie and Domaine Ogereau. Yves and Anne Guégniard told me that they had done a small tri in their Quarts de Chaume at the end of last week before the rain forecast for Monday. It was 20.5% potential. 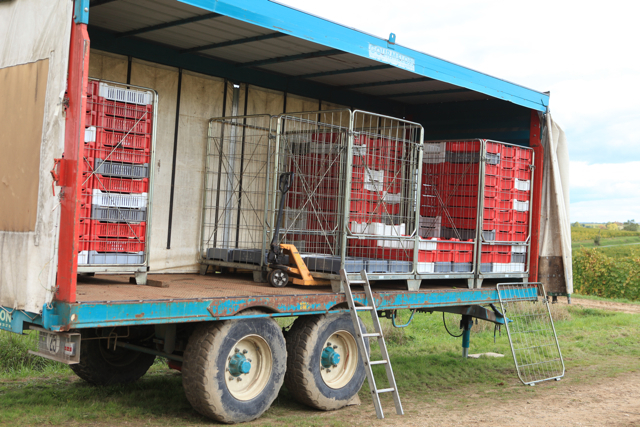 Emmanuel Ogereau said that they had done the same in their parcel in the Quarts de Chaume which had come out at 20% potential. It was great to see how excited Emmanuel was as 2015 is the first year the Ogereaus have had vines (0.87 ares) in the Quarts de Chaume. They have a westward facing parcel at La Martinière next to the Baumard vines. 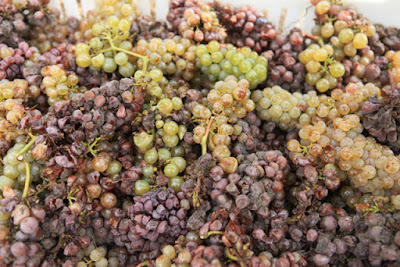 Looking around the Quarts that Wednesday afternoon it was clear that although some grapes were now affected by botrytis, many were not. I was therefore surprised to see that the first rows of vines on the west side of the Domaine des Baumard's vines at La Martinière had been completely stripped of fruit. I walked down one of the rows that had been entirely picked. Although there were a few fresh leaves on the ground I could see no sign of discarded fruit. Towards the end of this row there were grapes that hadn't been picked – I assume this is where the pickers finished for the day as the subsequent rows had also not been picked. I returned mid-afternoon on Thursday (8th). On the way down to the Quarts we passed one group picking higher up in Chaume. Returning to La Martinière I could see activity in Baumard's parcel of vines. Walking round the outside of the parcel on the western side I reached where the terraces start that overlook the Layon then turned left along the passage between the Martinière parcel and the terraces. Here I spoke to a man, who appeared to be the supervisor, who asked me whether I was with Monsieur Baumard. I replied that I wasn't and that I was walking in the vineyard. 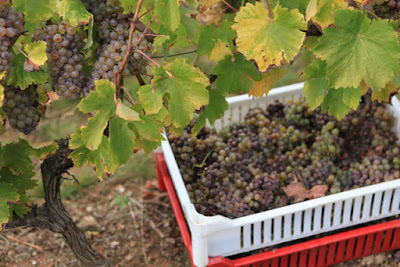 I asked whether the boxes of grapes in the rows were for Quarts de Chaume. He replied that they were, except for the parcels that weren't classified. We agreed that it was good weather for harvesting and I wished him a Bonne Vendange. He went on down to the terraces where I could hear the sound of picking. The team of pickers had presumably moved on there having finished at La Martinière. 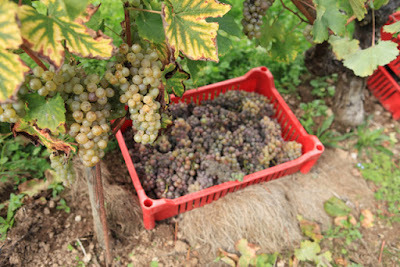 I then walked up one of the Martinière rows coming out where the trailer was parked taking the photos of the boxes of fruit shown below.Some of the vines still had some bunches left but the majority had been completely stripped of fruit. Photos taken on Thursday 8th October in La Martinière, Quarts de Chaume around 3pm. From Tom Cannavan's interview with Florent Baumard: 'As Chenin does not mature evenly in this terroir he says there are always at least two tries, or separate pickings of the vineyard, even for the dry wines.' 19th June 2014, Glasgow. 'Baumard insists the freezing process simply allows him to eliminate less ripe grapes, leaving only the naturally sweetest juice to go into his must. It is, he says, nothing more than a means of sorting the harvest.' (19th June 2014, Glasgow) From Tom Cannavan's report. It is a great pity that Florent Baumard did such an extensive tri in the Quarts de Chaume. 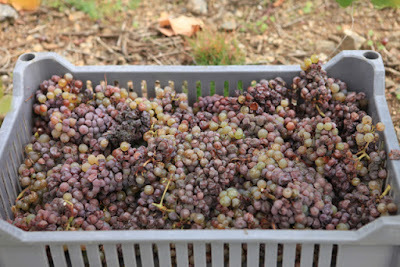 Clearly some of the grapes picked are over the required 18% potential, while others are well below. 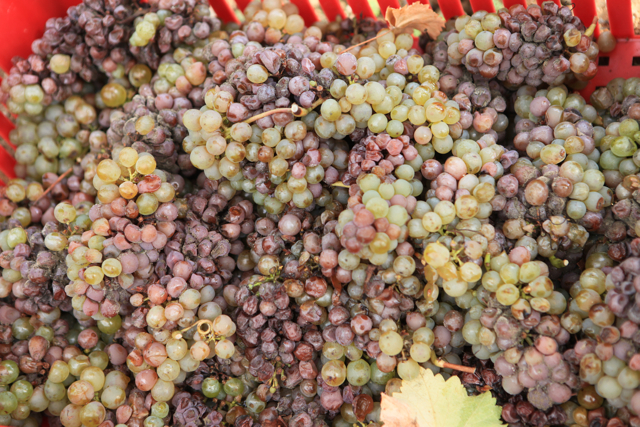 Claude Papin, président of the Quarts de Chaume producers, estimates from these photos that Baumard's tri is between 15%-16% potential, so below the required minimum. I have been accused by Florent Baumard of being involved in a 'hate' campaign against him. This is not correct. 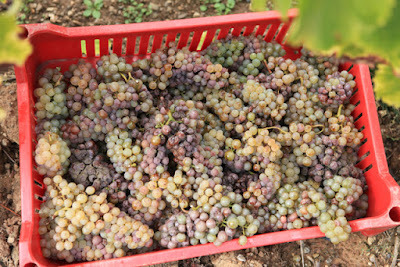 But I am frustrated, especially in a promising year like 2015 where the forecast is currently set fair for around the next ten days, that Florent didn't require his pickers to do a smaller tri of his best fruit. Instead it is seems to be indiscriminate picking. 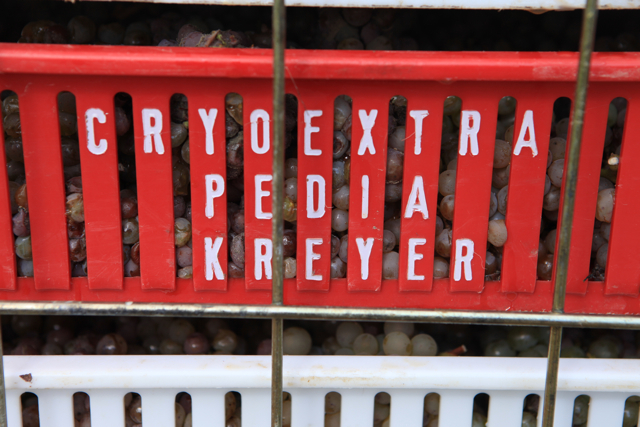 Florent claims that cryoextration/cryoselection is a means of sorting the ripe from the upripe grapes. Certainly choosing bunches with the required amount of botrytis is a skilled job which requires experience. However, this is not the case in knowing the difference between green/golden grapes and those affected by botrytis. 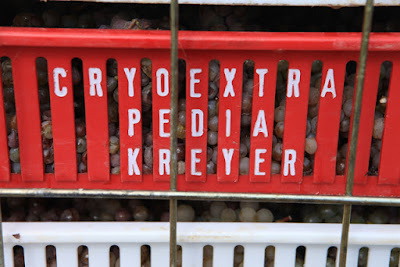 Why go to the expense of cryoextraction when pickers can be instructed to leave the green/golden grapes on the vine for a second or third picking? Also sorting the grapes at Baumard's winery makes little sense as, left on the vine, the green/golden grapes would be more valuable once they meet the requirements for Quarts de Chaume. Unfortunately Domaine des Baumard has underlined just why the INAO expressed the serious reservations in their submission to the Conseil d'Etat over the use of cryextraction/cryoselection to make appellation sweet wine, especially the temptation to harvest grapes too early before they have reached the necessary and required level of sweetness. The Baumards' attempt to have the 2011 Quarts de Chaume decrét annulled by France's Conseil d'Etat failed. 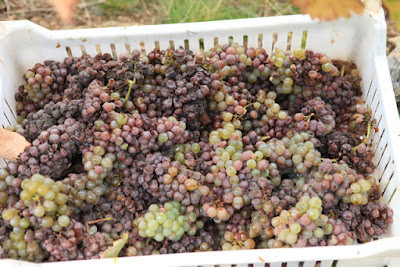 Florent Baumard has a choice – respect the rules if he wants make Quarts de Chaume and carry out the successive pickings as he explained to Tom Cannavan in Glasgow in June 2014 or avoid the risks, use cryoextraction on unripe grapes and sell the wine as Vin de France. Indeed he suggested to Cannavan that he was considering opting out of the appellation. 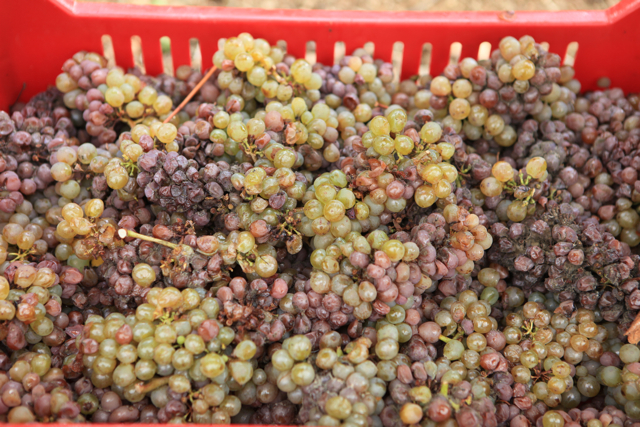 There are already a good number of producers in Anjou who have opted out. One of the most notable is Olivier Cousin. As already stated above I was not in contact with any Anjou producer before going to the region on 7th and 8th. During our stay in the Loire – arriving 16th September and due to leave on 20th October, we have paid our way, the sole exception being two nights in Sancerre and a meal at a restaurant in Bourgueil – both associated with a commissioned article for Decanter. 'Should there be a new Grand Cru? Did Baumard overstep the appellation rules with the level of cryoxtraction in 2012? The honest truth is that I really don't care too much about either issue.' Tom on his Wine Pages Forum 20.6.2014. Although this involves a small appellation in the Loire, it surely remains right that the wine inside a bottle should accurately reflect what is claimed on the label – ie truthful labelling, especially when you are likely to be paying over £20 for a recent vintage of Quarts de Chaume. Hawkshead Wines have halves of the 2010 Domaine des Baumard at £25.95. I may be old fashioned but I believe that the consumer should not be misled. Given the huge furore over the Volkswagen false emissions claims, it appears that many agree. 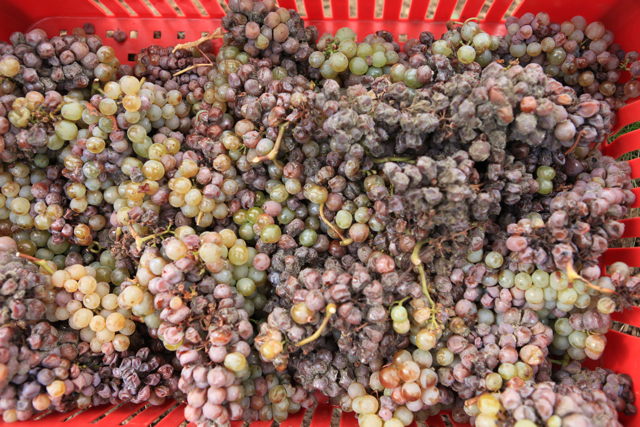 Claude Papin, president of the Quarts de Chaume producers: "It is lamentable and what a shame as there is some good botrytis here. "This undermines the Quarts de Chaume appellation. If the consumer is to have confidence in the appellation the wines have to be credible and respect the rules that are now French law. Quarts de Chaume commands a higher price because of the risks involved in waiting during the autumn for the grapes to become over-mature and from the consequent low yields that come with making these wines. "It would also be very regrettable and unfair if the Quarts de Chaume Grand Cru loses credibility because other Quarts de Chaume producers are making big efforts to produce the best wine they can. We are now looking to tighten the rules further by introducing the same monitoring system that is in place for Sélection des Grains Nobles where the vines are inspected before picking to see if the grapes are ripe enough to be Grains Nobles. I hope that the Syndicat can agree this new measure before Christmas." This would be a welcome move as there is no point in having strict rules if they are not enforced. Otherwise it will be understandable if winelovers conclude that Quarts de Chaume Grand Cru is meaningless window dressing. I sent some questions to Florent Baumard and invited him to comment. To date I have had no response. Article 1er : Les requêtes de la SCEA Domaine des Baumard sont rejetées. 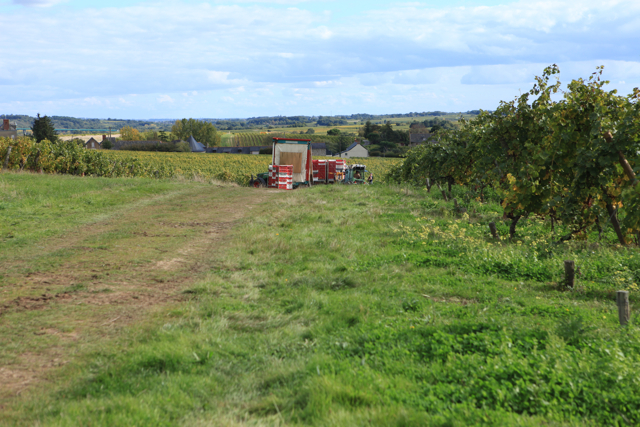 Article 2 : La présente décision sera notifiée à la SCEA Domaine des Baumard, au ministre de l'agriculture, de l'agroalimentaire et de la forêt et à l'Institut national de l'origine et de la qualité. While Baumard is not a favorite producer of mine, I have had some very good wines from them over the years, so it's disappointing to see them apparently bending or flouting the QDC rules. On other note, I see several references to Emmanuel Ogereau here, and also in other places recently. We visited Domaine Ogereau a couple of years ago and had a tasting with Vincent Ogereau, the father. He was not an old man, so I wouldn't expect that he'd have handed the reins over to his son yet. Is Vincent still in charge, or has his son in fact taken over. All I know is that they make fantastic wines. Thanks Bob. Vincent and Catherine are still involved but Emmanuel is playing an ever increasing role. This is a regular pattern one ses here as the next generation takes over.